Music does not make millions, it also moves millions. The same can be said of Louis Armstrong, an enduring jazz icon and one of the greatest musicians of all time, who was born on 4th August, 1901, in New Orleans, Louisiana, United States. Armstrong took the Jazz to a whole new level, and boasts of many loyal fans all over the globe. Louis was born into a very poor family. His father was a factory worker and abandoned the family soon after his birth. His mother also left him to his grandmother. Due to these personal situations, he left school in fifth grade and begin working at a young age. A Jewish family gave him work and also encouraged him to sing. Louis was arrested in the year 1912 as he fired his father’s gun at the New Year’s Eve celebrations. He was sent to the Colored Waif's Home for Boys. There he received music instructions and he started loving music. He was released in the year 1914 and starting making music his life. He continued doing odd jobs, but also began earning a reputation as a blues player. 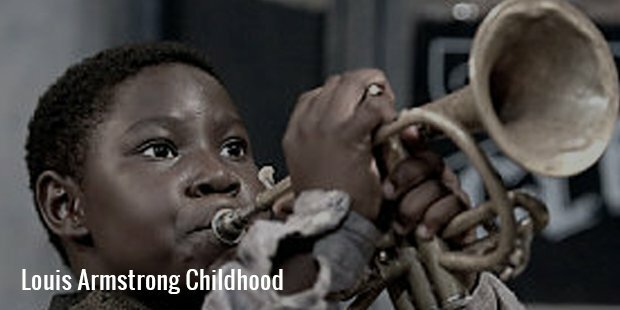 He started taking training from the greatest cornet player, Joe King Oliver. 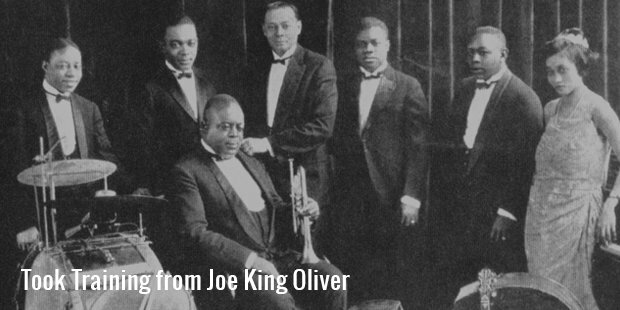 When Joe left New Orleans in 1918, he recommended Louis to replace him in trombonist Kid Ory’s popular band. After 4 years, Oliver asked Louis to join him in his band as he established himself in Chicago. This was the place where the recording career of Louis officially began. In Oliver’s band, Louis met pianist Lil Hardin, whom he married. She advised him to go to New York and join Fletcher Henderson’s big band.Louis did his first recording with Henderson, the black bandleader, in the year 1924. At the same time, he also started recording with others. 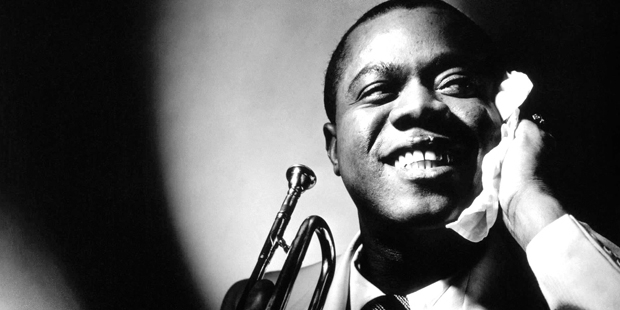 Louis Armstrong was much better than all the other musicians because he has the ability to play the cornet. He had a great clarity of tone. 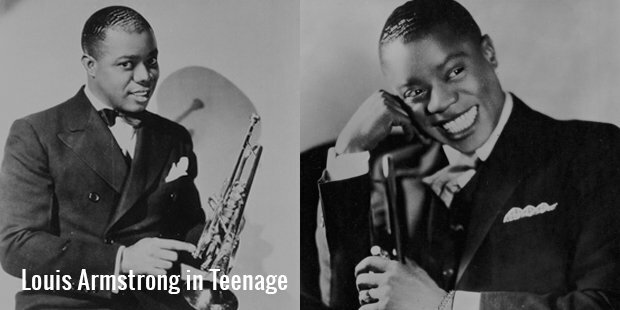 He was a young man in his 20s when jazz was not much older. He saw the rise of jazz himself. He spent most of the time in New York playing and recording with different bands. He was strongly encouraged by his wife to return to Chicago, where the couple settled in a large house. Soon he became popular and became the world famous cornet player and everybody started to recognize him. 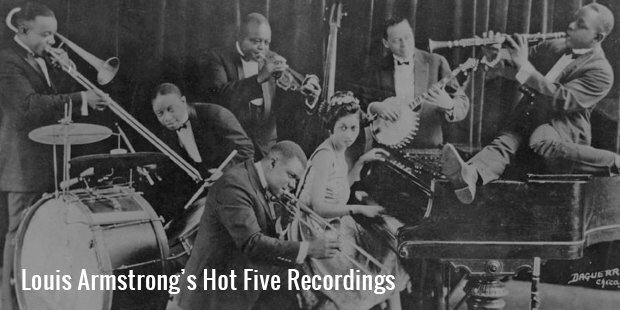 Armstrong’s Hot Five and Hot Seven records consisted of one "classic" after another during the period 1925-1927. But these were far from Armstrong’s only recordings. 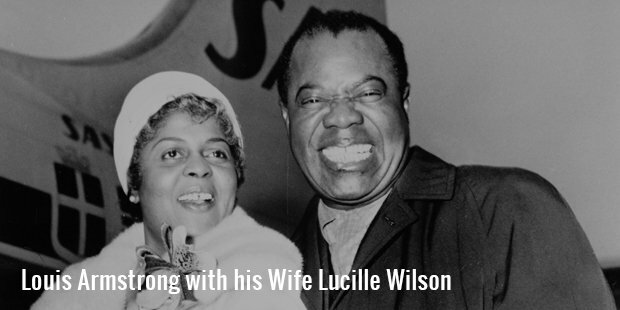 He continued to be in great demand to back up blues and jazz singers like Bertha "Chippie" Hill, Blanche Calloway, Hociel Thomas, and Baby Mac. One thing which contributed to Armstrong’s image as an entertainer and a clown was his nickname, "Satchmo," which became as famous as he was. There were few who felt that the nickname reflected on a young black man coming up in racially segregated times. During the times of Jim Crow, Armstrong would have had little to smile about. Armstrong was no fool when it came to racial relations. He understood the balanced line he had to walk and perhaps he felt playing the clown would disarm white people.